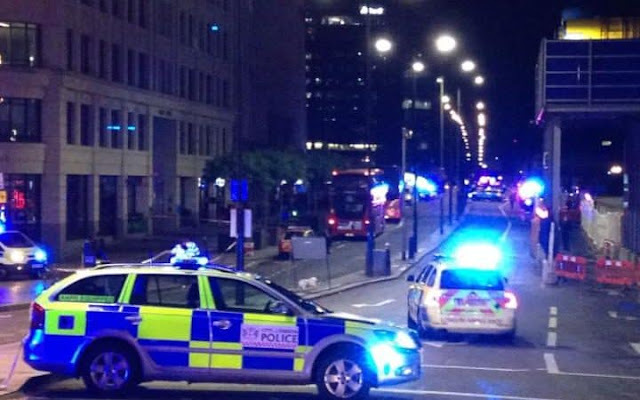 Late last night, some suspected terrorists attacked pedestrians and shoppers in London Bridge and Borough Market. 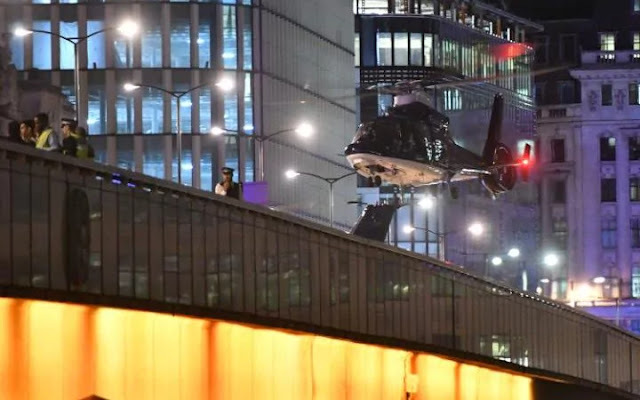 A witness said he saw a man with a hunting knife at Borough market while another said a car was seen colliding with pedestrians on London bridge as people falls into river. 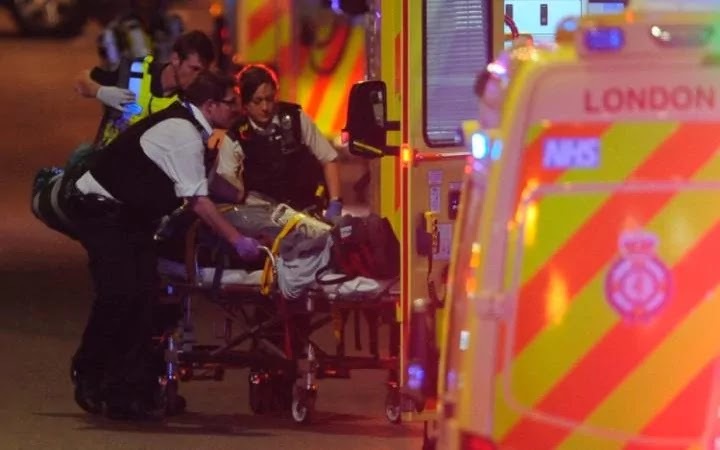 A series of stabbings were also reported in Borough market. 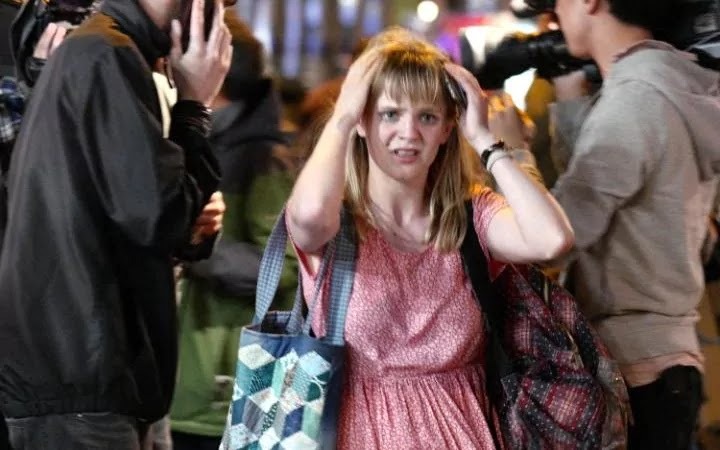 Kind-hearted Londoners were seen offering rides and shelter to those caught in both attacks. 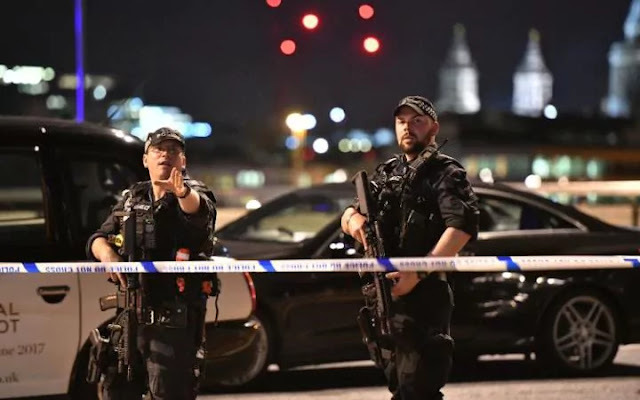 At least two people were confirmed dead while several others got injured in the rampage that happened at two Central London landmarks. 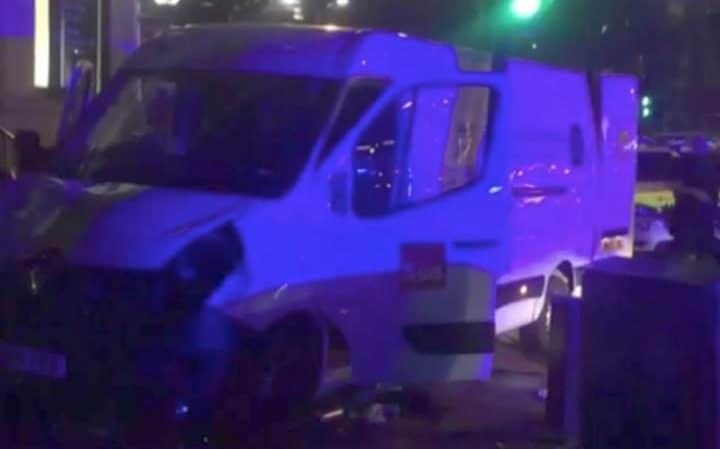 The London bridge was locked down after a white transit van crashed into a crowd on top speed around 10pm. According to eyewitnesses, 20 people were injured in the attack. 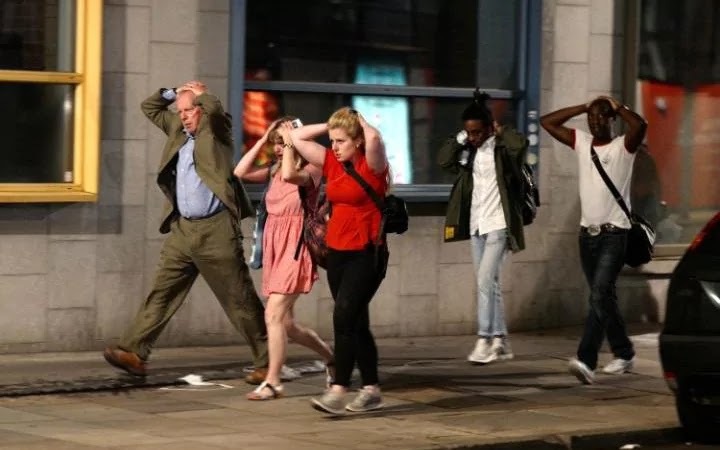 In the coordinated attacks, pedestrians were attacked with hunting knives as another terrorists was seen opening fire on innocent pedestrians. A cab driver who witnessed the Borough market attack said 3 men armed with large knives rushed towards Borough market and stabbed people as they were shouting “this is for Allah”. 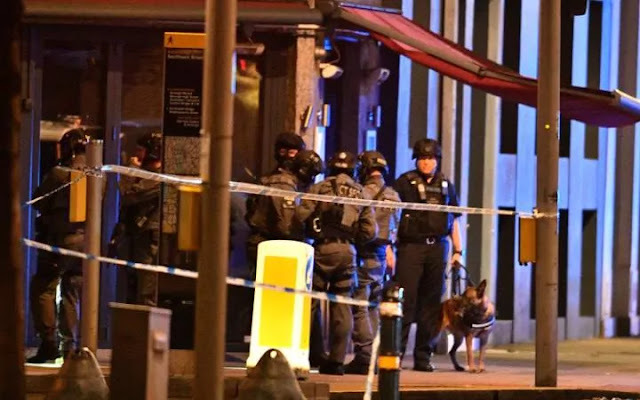 In the heat of the attack, Police officers were seen yelling at people in bars and restaurants in the Southwark area to get down on the floor as people outside were told by officers to run from the area as the atmosphere turned to one of “hysteria”. This we learnt happened around 11pm. 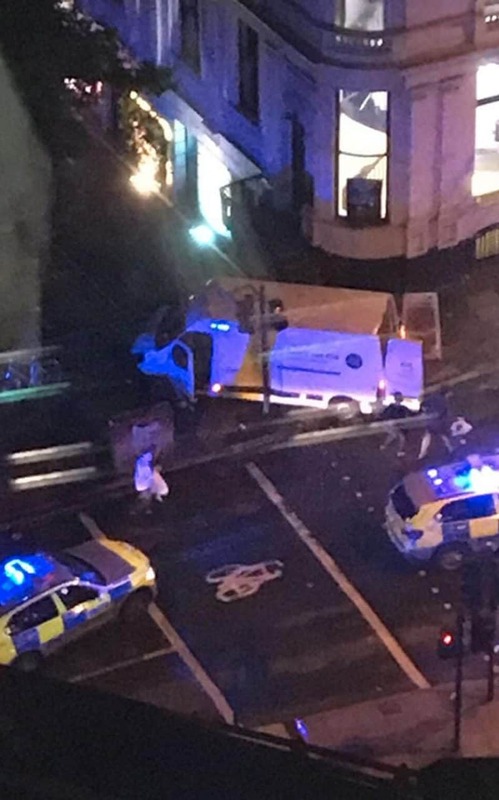 Shortly after midnight, London police officials said they were attending to another terror related incident in Vauxhall area. 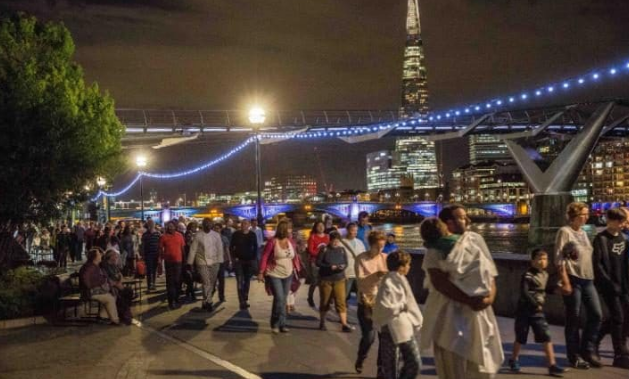 Before 1am police confirmed that attacks on London Bridge and Borough market were terrorists attack. The series of terror attacks came less than a fortnight after the Manchester suicide bombing. 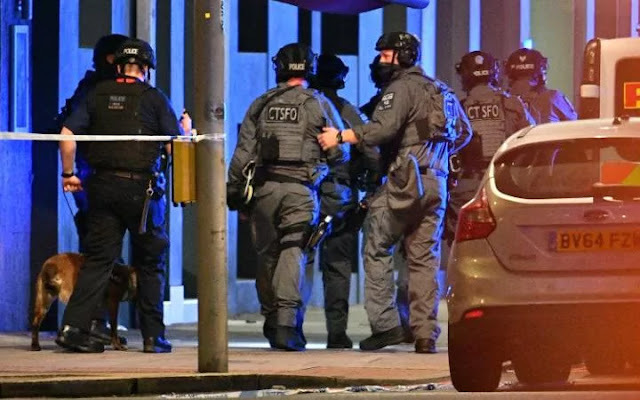 US President Donald Trump has offered to help Britain deal with with these ceaseless terror attacks. 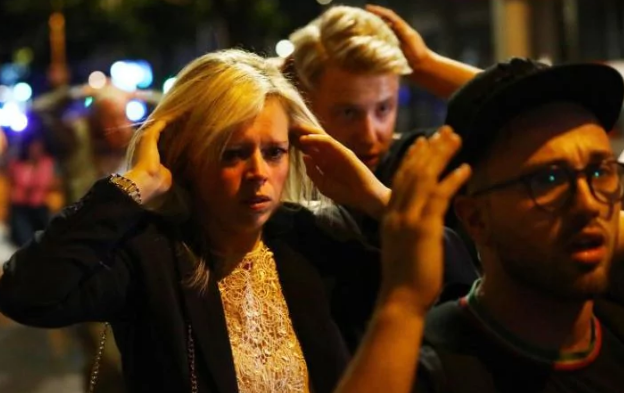 See photos from the scene of the attacks. I am not know where I am go make I no die. In Nigeria is a boko haram. 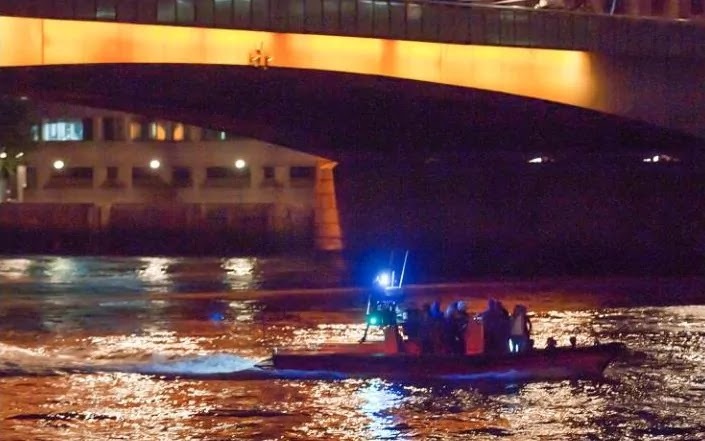 In over the sea is a Isis. And they are say is Allah. I am fear to everybody weyris moslem. I am fear to even Tinibu and Lai Mohammed. I am fear to that small kettle wey all of them is carry and using to wash hand and leg. Wetin is this? Even small pikin is carry kettle to be washing leg. 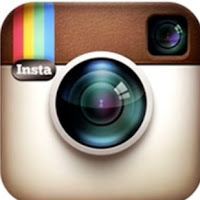 Kettle Na ID card? They are even hide bomb inside for that kettle. Moslem is wetin God carry tell the world say end time is sign. What is this country turning into. God help us. 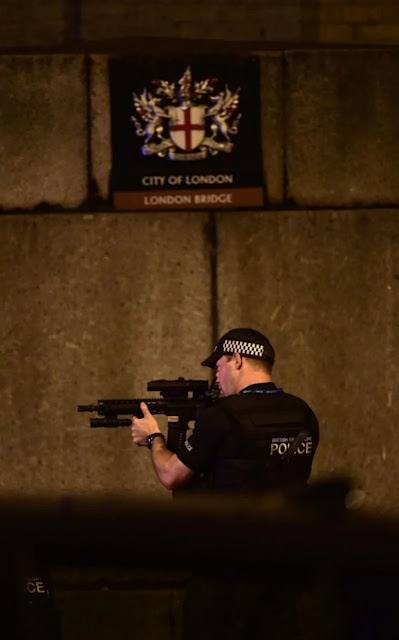 May God save and protect every one of us. Because pandemonium everywhere. Rip to the dead souls.